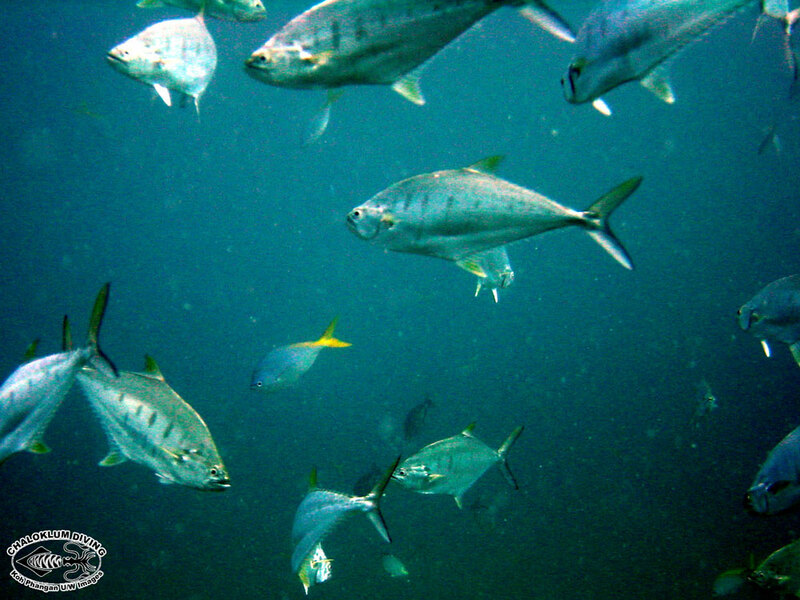 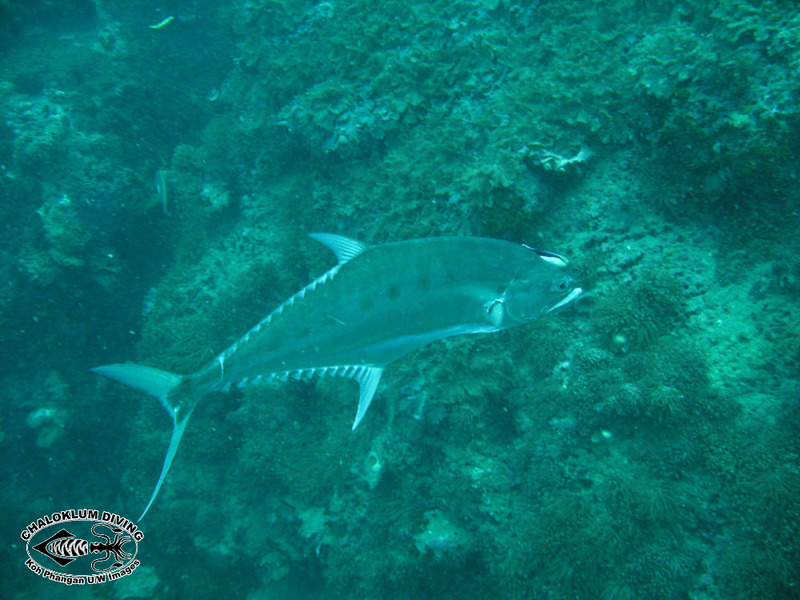 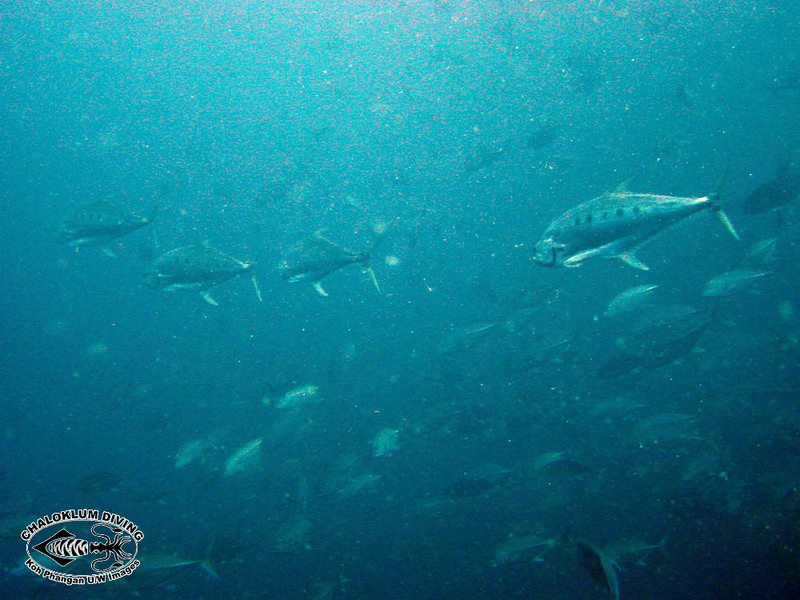 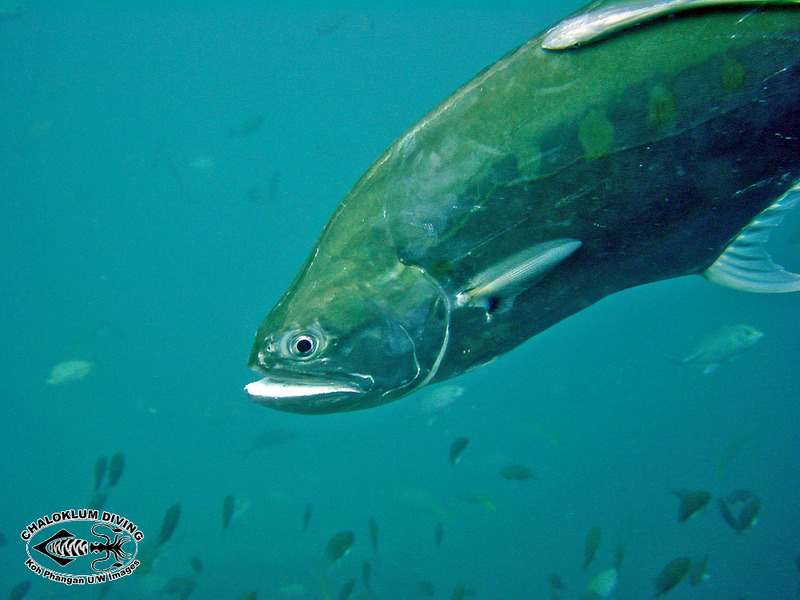 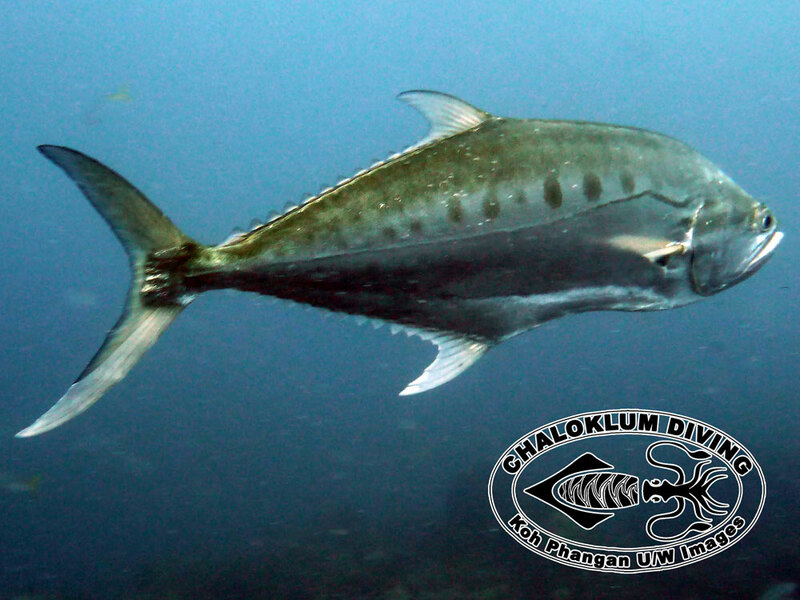 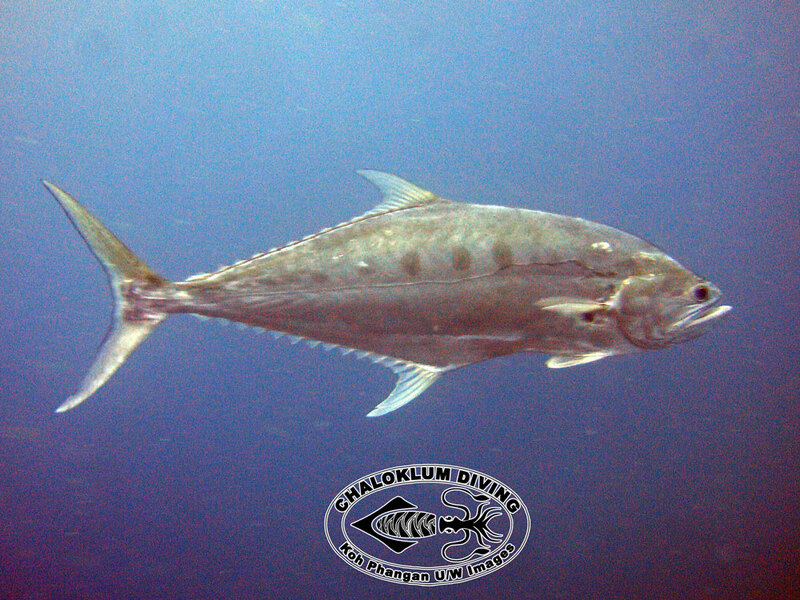 Scomberoides commersonnianus, the Talang Queenfish, is the big confident one that you have a chance to see at most of the dive sites around Koh Phangan. 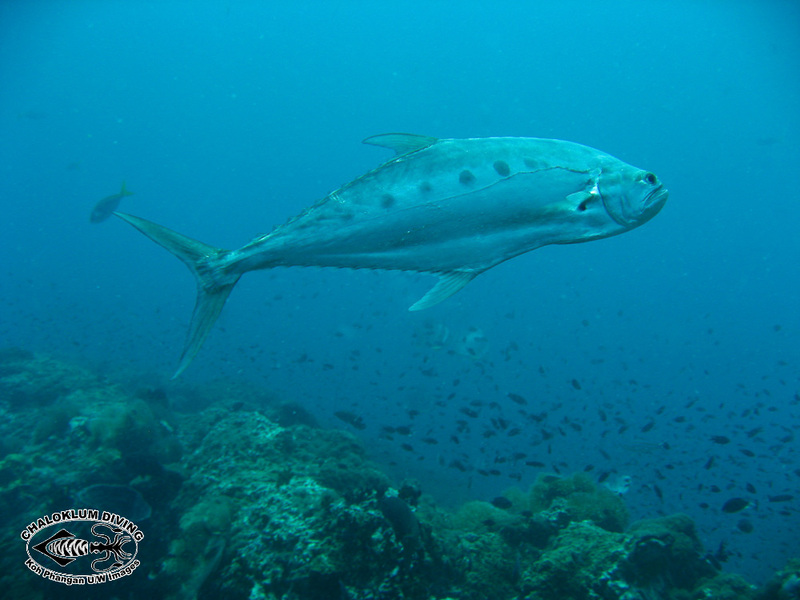 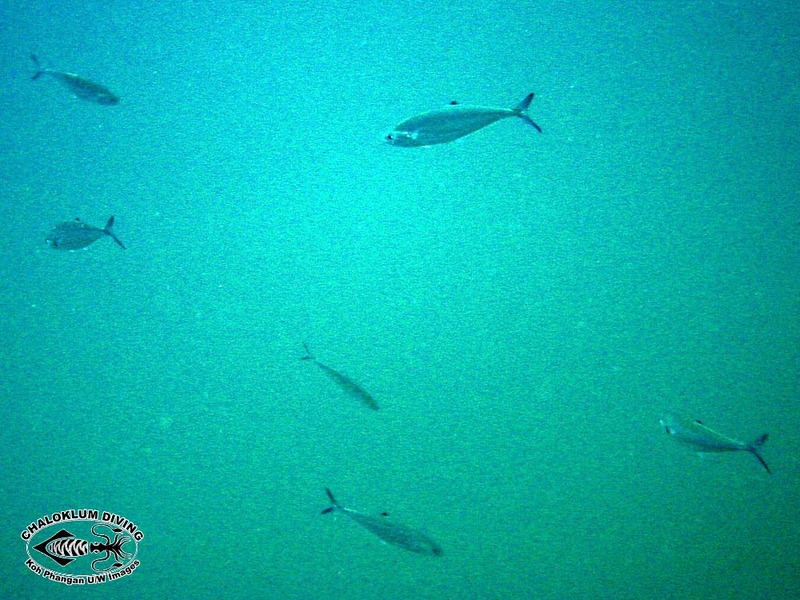 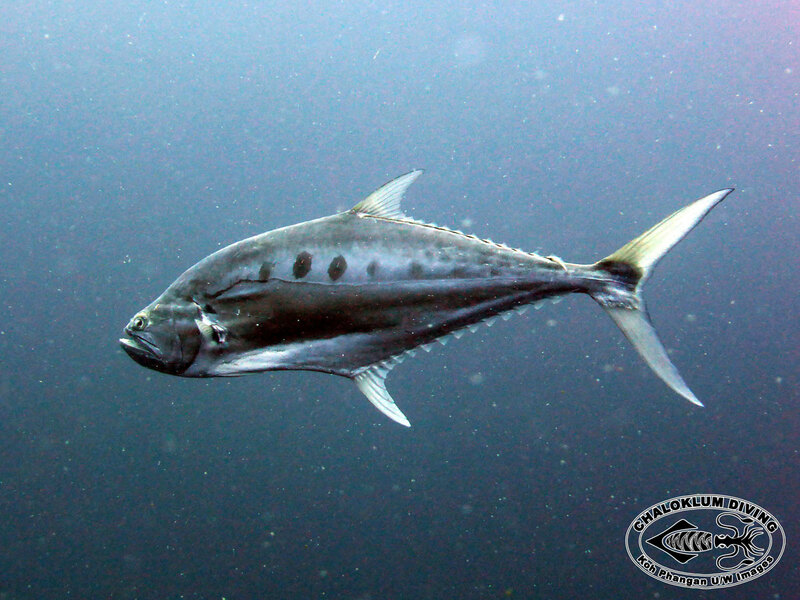 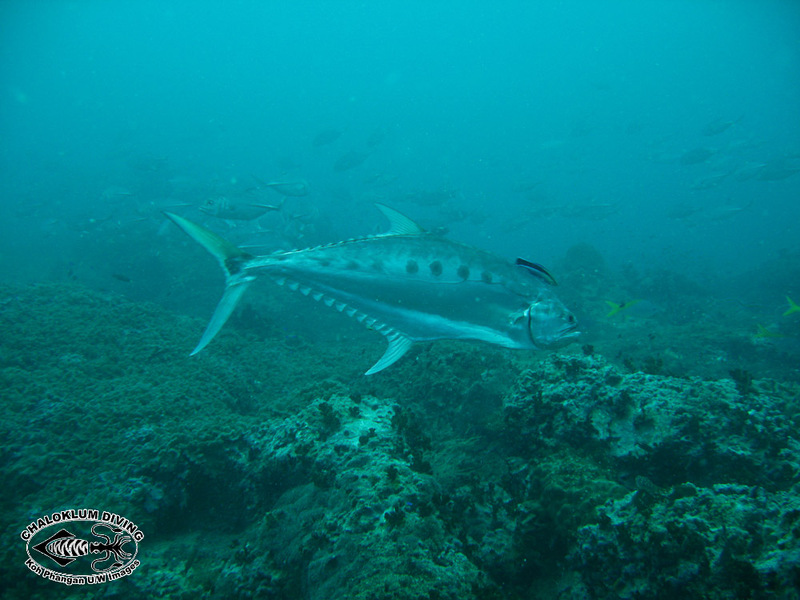 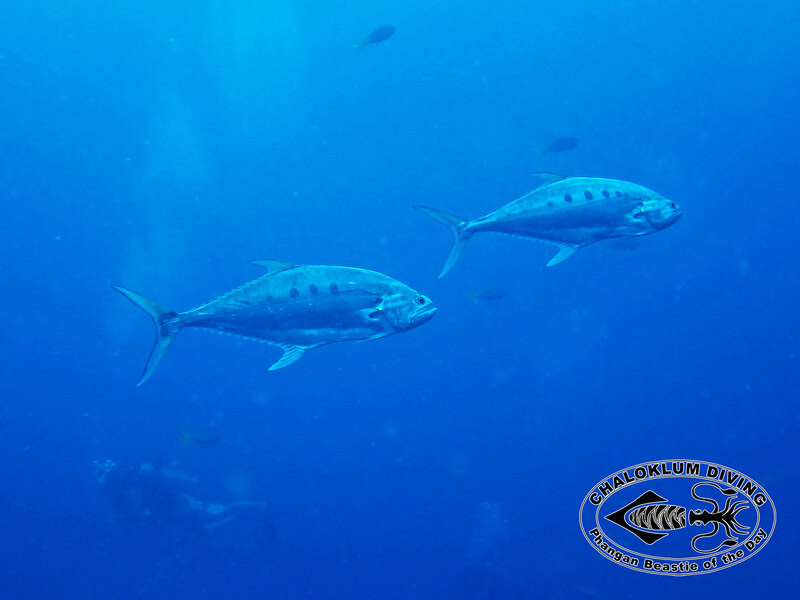 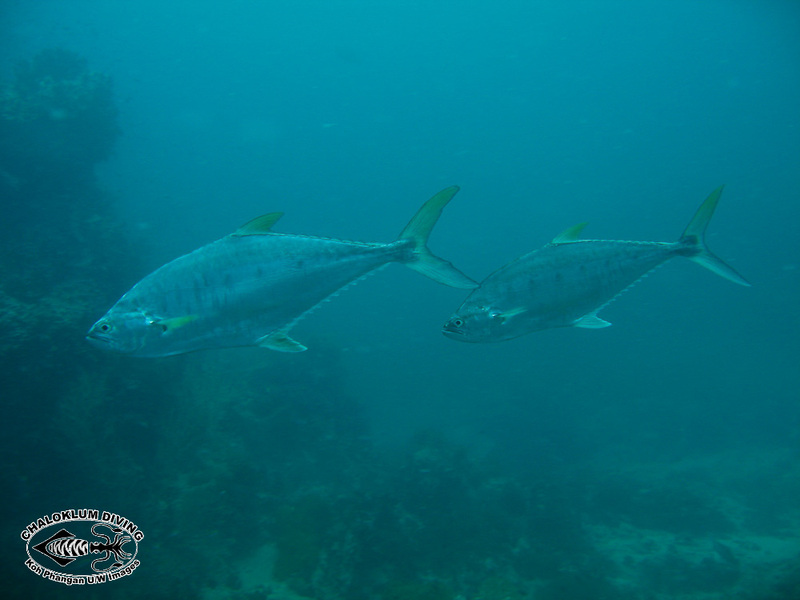 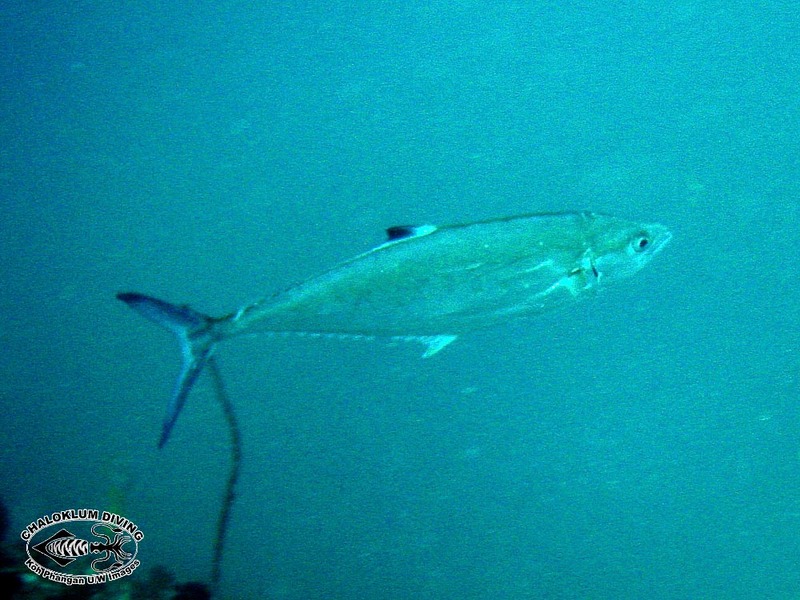 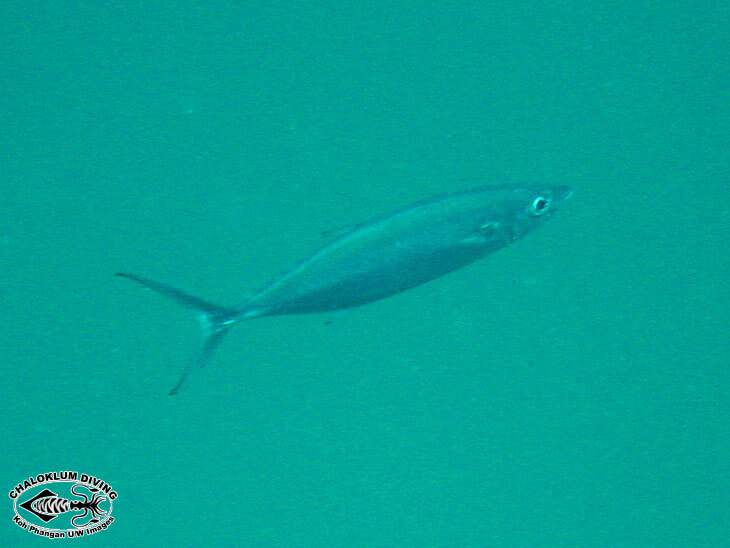 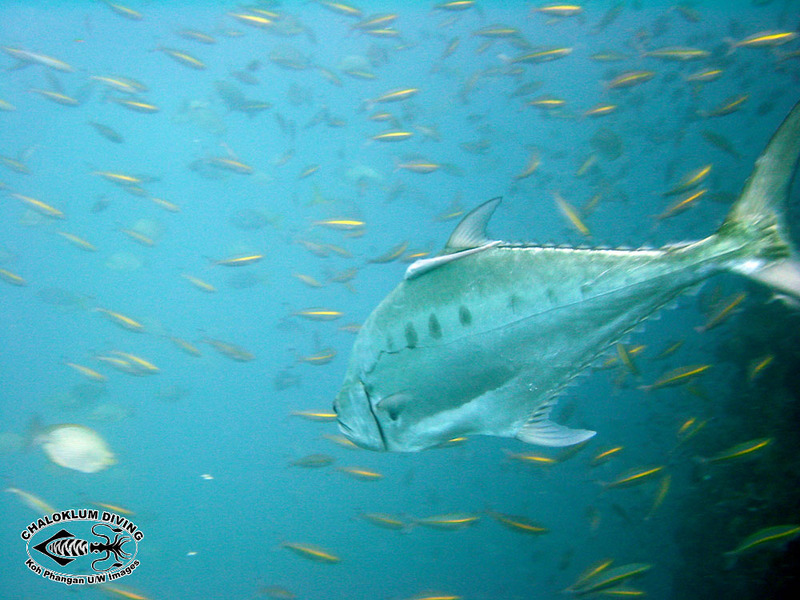 Scomberoides lysan, the Double-spotted Queenfish, is smaller, rarer and won’t let you get so close when you’re diving. 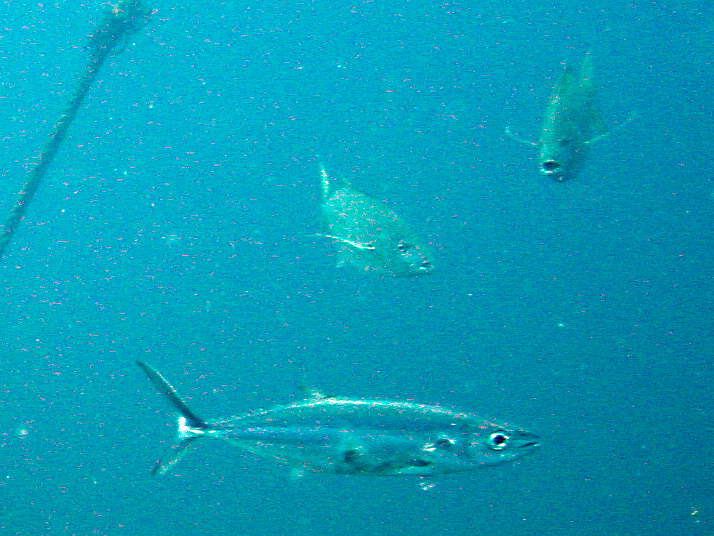 To the right is a short video clip of a Talang Queenfish at a cleaning station at Sail Rock with the small wrasse at work..